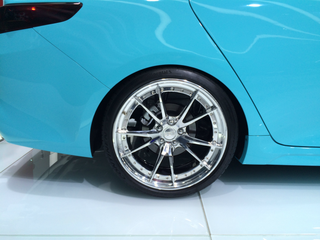 That is a 20" rim on that Kia Optima Convertible concept, and somehow it looks too small. I don’t know how Kia managed to do that, but kudos? There were a number of stupid things I saw there. Honorable mentions definitely include the Stormtrooper Fiat 500 and the couple inexplicably putting their baby on the hood of an Alfa Guilia for a picture. I’m surprised they went for it, but CIQ is really letting me push their envelope. I pitched to them the idea of doing an article about the dumbest things from the show, and they actually went for it. This is probably my favorite article I’ve written for them, so go check it out over at CarInsuranceQuotes.com. I think it’s worth it.